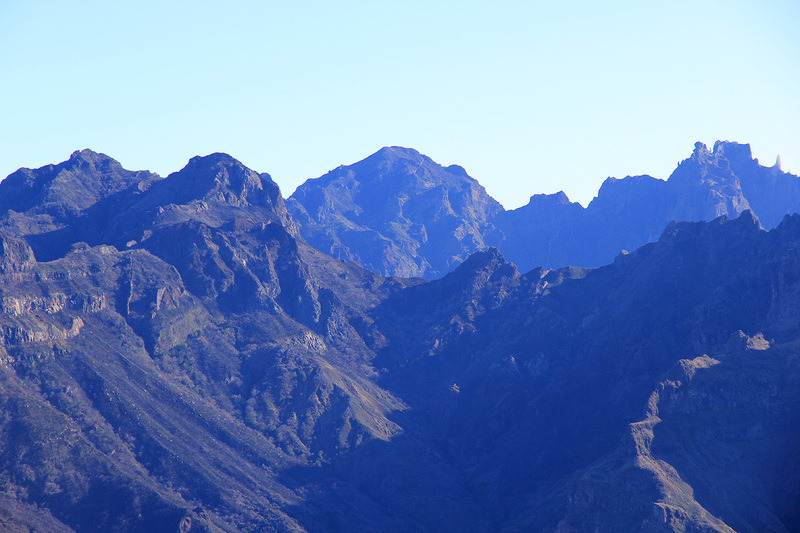 Drive from Funchal west towards Ribeira Brava, then to Serra de Agua. 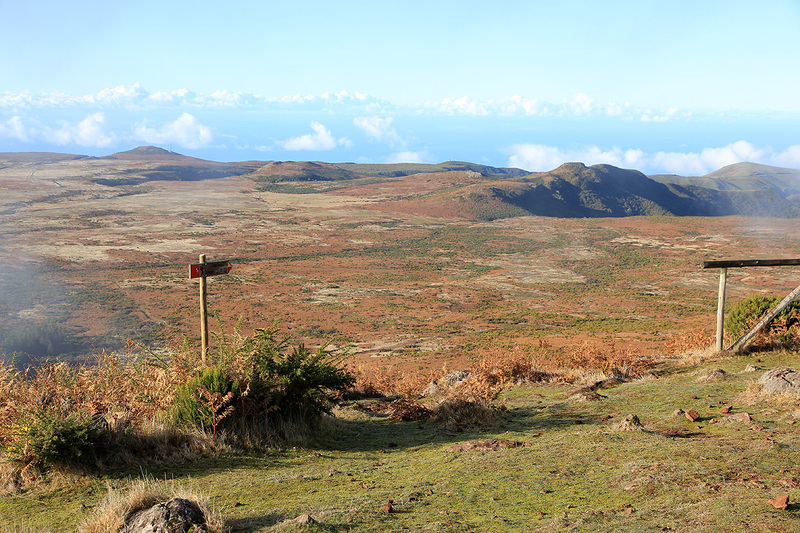 Exit here (do not drive through the tunnel) and climb to the key saddle Boca Encumeada at 1007 meter. This saddle divides the highland plateau in the west from the rugged mountains further east. 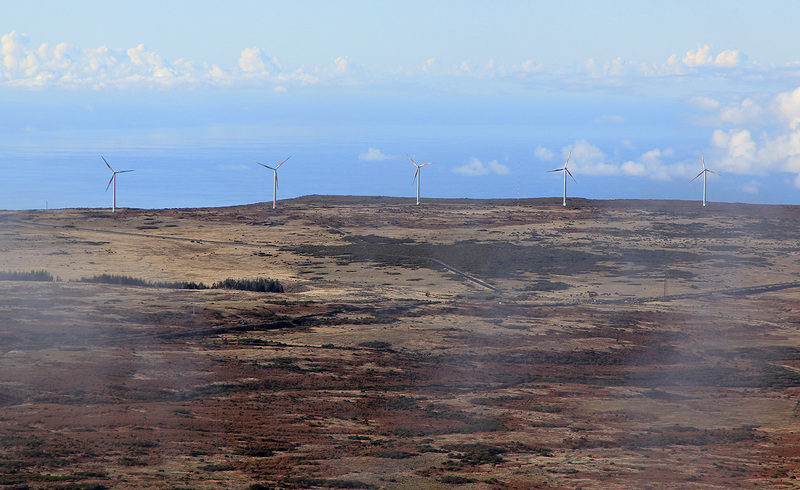 Turn left at the pass and drive up onto the high plateau, - home of many giant wind mills. Drive across the plateau, then the Hwy. turns more left and starts descending. Pay attention and locate the first paved side road that forks off on your right hand side at a sharp angle. Turn onto this road and drive gently uphill until you locate trail signs and a big iron gate on your left, while there is a small parking area on your right. This is the trailhead, location N32:46.212, W017:04.697, elevation about 1550 meter. 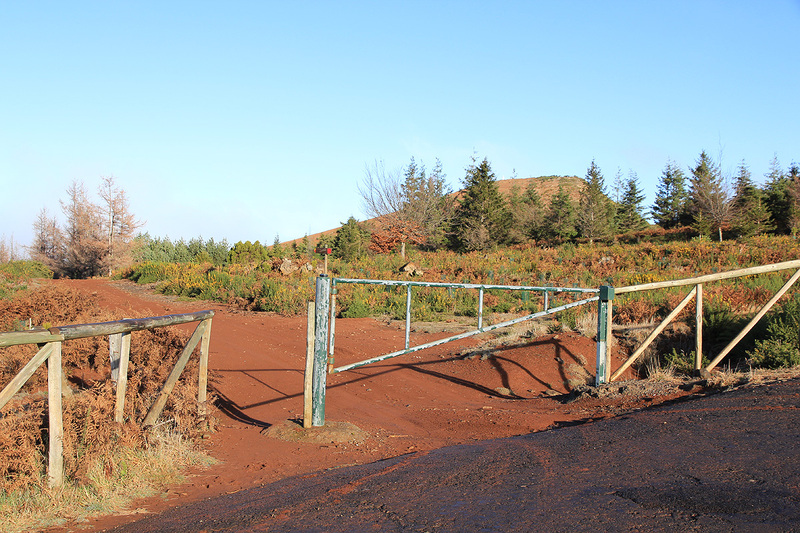 Walk through the gate and along the dirt road for about 100 meter. You will arrive at a new trail intersection with new trail signs. Turn right and continue along a wide trail until you hit the third set of signs. Make a left here and climb the small hill in front of you. 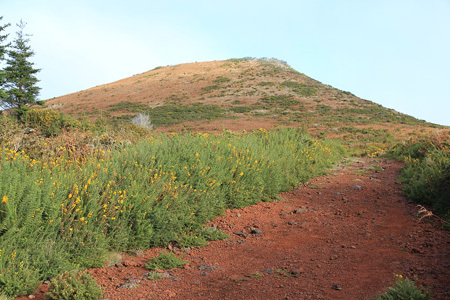 There are some viewing platforms as well as a summit marker on the short summit ridge. 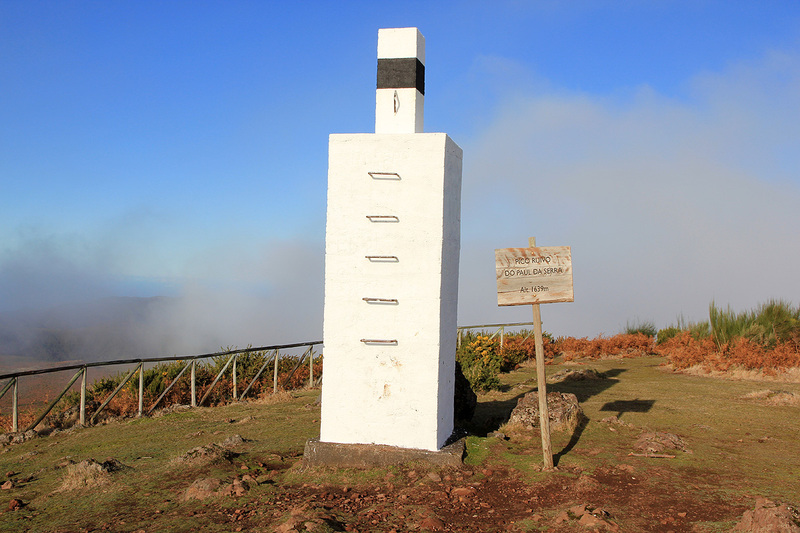 Besides Pico Ruivo, the island highpoint and ultra prominent, there is only one other mountain with prominence exceeding 600 meter. This is the highest point of the highland area to the west. As a hike, this is rather trivial, estimate 10-15 minutes of easy walking in each direction. The view is however, pretty good and well worth a visit. I arrived more or less at the same time as the clouds that rolled in, thus photography was limited. Roadside view, From Pico Ruivo to Pico das Torres as seen from the road when returning from Pico Ruivo do Paul da Serra. 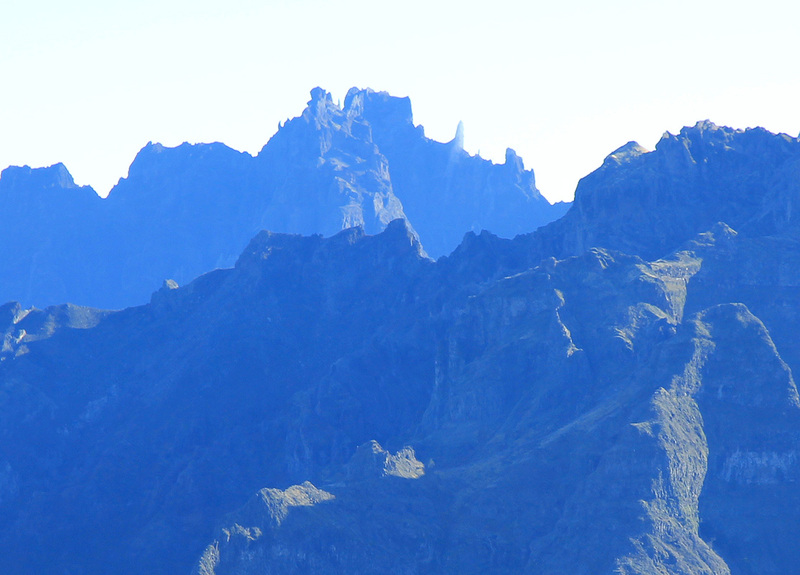 Roadside view, Pico das Torres as seen from the road.